The concept of a National Association for Soccer Referees existed for many years before it's Inauguration on the 21st of January 1989, since which time it has operated under it's "Philosophy of the Association" and the Constitution and By Laws. At the 1991 AGM it was decided that, as the CSRA was firmly established, it should adopt a Mission and Vision Statement to reflect it's approach to the future. It is believed that the communication, education and comradery afforded by the CSRA provides the potential for personal development and growth both in and out of the game. It is also believed that referees should become leaders and educators in their respective soccer refereeing communities whilst active or retired. Therefore, to achieve the beliefs of the Association the following has been developed. 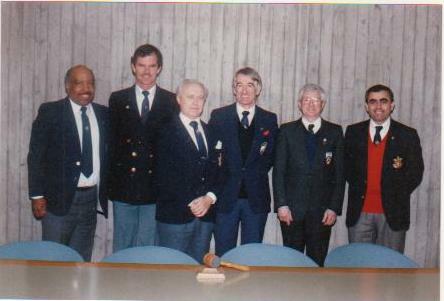 The Association, in conjunction with it's Provincial and Territorial Affiliates, is dedicated: - to attracting and welcoming new members, to encouraging existing members to attain their potential and to retain in membership those who retire from refereeing, in order to create a strong and well informed membership capable of demonstrating leadership in their soccer communities, thereby benefiting the game and the individual member.